In this experiential format you will come to meet the different parts of yourself through the lens of astrology. 7) Integration – You may have parts of yourself that are “at odds” with other parts – Here’s an opportunity for harmony! No prerequisites – but pre-registration required. 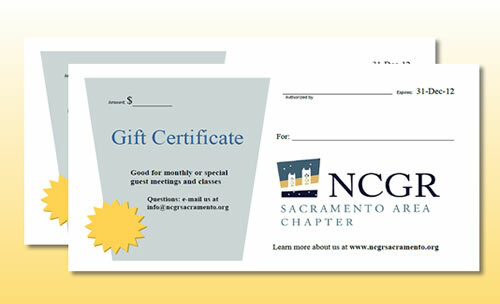 Please send birth information (Date, Time and Location) to: info@ncgrsacramento.org. Linda would like to have everyone’s birth information prior to the beginning of class. Linda Kubota Byrd is a certified DREAM COACH and has used Astrology as a personal growth consultant for 20 years. She was a volunteer with the Aspire Foundation, using Transformational Astrology for 10 years and has earned a Level Two Certificate in Evolutionary Astrology from Steven Forrest’s Apprenticeship Program. She has studied with John Ruskell, Gavin Carruthers, Tom Lescher, Maurice Fernandez, and many others. Facilitating workshops for 16 years, she combines Astrology, Energy Psychology, Handwriting Analysis, Conscious Creating, NLP, etc. to “un-train” conditioned patterns to empower authenticity and embrace the unique gifts in us all. * REGISTRATION IS CLOSED FOR THIS CLASS, however, contact Linda at info@ncgrsacramento.org if you would like to arrange to attend on a drop-in basis. Can’t commit to the whole series, or only want to focus on certain planets? Drop-in option is available. Carpooling opportunities may be available in the Grass Valley and Placerville areas. Please contact Linda. If you change your mind about taking the class up to a week before it begins, a full refund minus $5 to cover PayPal transmission fees and handling will be given up to January 29, 2014. Between January 29 and February 5, you will be refunded 83% of your payment minus the $5 transmission and handling fee. There will be no refunds on or after February 6, 2014. This entry was posted	on Friday, January 10th, 2014 at 10:37 pm	and is filed under . You can follow any responses to this entry through the RSS 2.0 feed. Both comments and pings are currently closed.